Stuck in Facebook photo upload? It's your time to turn away and upload photo from Flickr directly to Facebook. 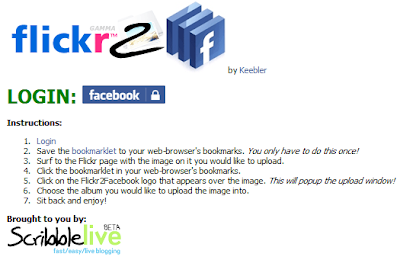 By unofficial product from Flickr and Facebook, a mini photo uploader named Flickr2Facebook could help you to upload photo from Flickr to Facebook without stuck in the middle of upload process. No response yet to "Flickr2Facebook, Upload Photo wthout Stuck"